. 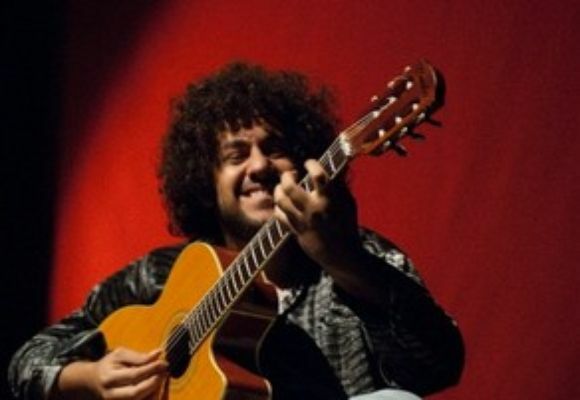 In July 2007 and 2005, Diego was the winner of Montreux Jazz Guitar Competition (Montreux Festival, Switzerland) and considered to be one of the greatest guitar players in the world. The competition had the jury presided by Al Di Meola and Gerge Benson . Diego was recently in New York as a special guest to give a workshop and to perform 3 concerts in IAJE  International Association for Jazz Education. and has been performing around Brazil and abroad. Accompanied by great musicians, he presents an amazing show of sensitivity, technique and emotion which impresses all audiences.
. (Hermeto Paschoal -Visa Prize). Diego is a light for Brazilian music. (Mauro Dias). His arrangements go new and honorable ways.